Our judges for the 2018 National Performance Awards are Pei-Chen Chen, Coral Solomon, and Cathy Yang. Read more about our judges below. The Taiwanese- Canadian pianist Pei-Chen Chen made her debut at the age of fifteen with the Hsin-Tien Symphony Orchestra, performing Beethoven’s Piano Concerto No.5. Pei-Chen has received numerous awards and scholarships throughout North America and Asia. She is an enthusiastic soloist and is equally passionate about chamber music. Pei-Chen is a founding member of LeeChen Piano Duo. They recently won Second Prize and Best Performance of the Required Work at the 2018 North West International Piano Ensemble Competition and Third Prize in the 2018 United States International Duo Piano Competition. 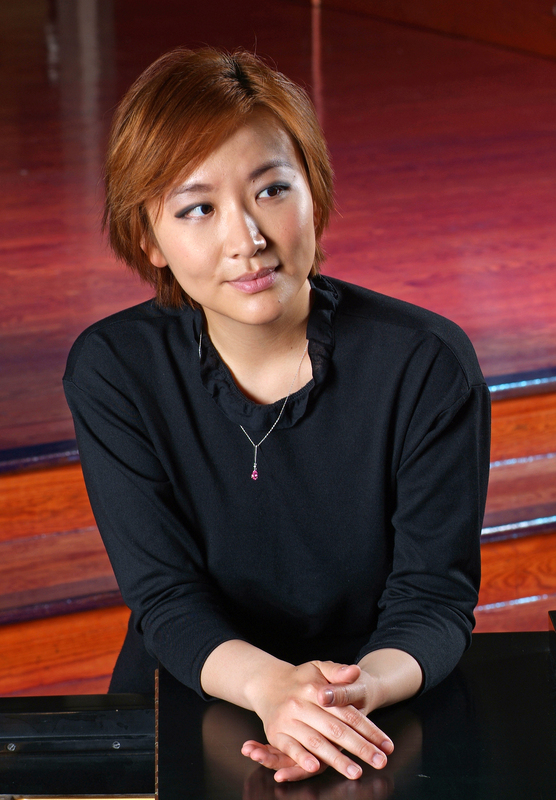 Pei-Chen is passionate about both performing and teaching piano. She has teaching experience throughout Taiwan and Canada. Her students have received outstanding results from the Royal Conservatory of Music (RCM) Examinations and placed at many national and international competitions. She is a senior piano instructor in the Piano Pedagogy Program at the University of Toronto (U of T), Montcrest School, and her studio. Born in Taipei, Taiwan, Pei-Chen had studied piano with Dr. Chia-Wei Chung and Dr. Hsaio-Fen Chen. She completed her Bachelor of Fine Arts in Piano Performance at National Taiwan Normal University and her Master Degree from U of T in Piano Performance and Pedagogy. She is currently pursuing her DMA in Piano Performance and Pedagogy at U of T under the tutelage of Dr. Midori Koga. 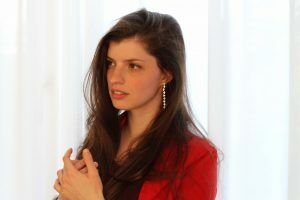 Israeli born pianist, Coral Solomon has been praised for her “distinct sensibility” and “original view” (Radio Romania Musical) and has performed numerous solo recitals throughout Canada, USA, Italy, France, Spain, Romania, and Israel. She has been awarded several prizes at competitions and has been frequently interviewed by several North American and European television channels. Coral has participated in intensive international summer festivals such as the Pianofest in the Hamptons (Long Island, NY), the Morningside Music Bridge Institute (Calgary), and the Toronto Summer Music Institute. Coral moved with her family to Toronto in 2004 and has been a student at the Young Artist Performance Academy of the Royal Conservatory of Music. She has completed her undergraduate degree at the Cleveland Institute of Music and her Master’s degree at Boston University, under the tutelage of Antonio Pompa-Baldi and Pavel Nersessian respectively. Coral is currently pursuing her Doctoral of Music degree in piano performance at the University of Toronto with Enrico Elisi, on full scholarship. As an active member in her community, Coral has been invited to adjudicate several music festivals and enjoys collaborating frequently with instrumentalists and singers in concerts. She holds a teaching assistantship position at the University and maintains a private piano studio at her home in North York. At the age of 7 Cathy Yang started her musical career with Prof. Zhaoyi Dan in China. Soon after she immigrated to Canada and continued her musical journey with Vladimir Niurenberg in Toronto. Her professional musical studies were completed with Prof. Ilja Scheps at the University of Music and Dance Cologne (Germany) with a Masters degree in piano performance. 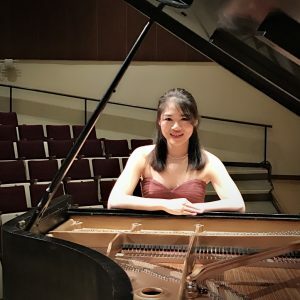 While in Canada, she participated and received prizes in many regional piano festivals and also in the nation-wide Canadian Music Competition. In May 2006, she was invited by the Vladimir Spivakov International Foundation as one of two representatives from Canada to participate in their music festival Moscow Meets Friends. Performing in the Central Music School in Moscow, Russia, she shared the stage with some of the most talented young musicians from around the world. In 2010, Cathy won the third prize in her age category at the International Piano Competition Vila de Capdepera in Spain. While in Aachen, Germany she was invited multiple times by the Collegium Musicum orchestra of the RWTH Aachen to perform as the soloist in the piano concertos of Mozart, Beethoven and Chopin. She also performed in Poland with various orchestras. As a member of Aix Alma Trio she toured several times in Germany. Cathy lives in Toronto, Canada and is currently working on some innovative piano projects. Previous Post2018 Louise MacPherson Memorial AwardNext PostACNMP seeks Volunteer Treasurer!